We fired up the grill again tonight for some hamburgers. The way Cordray's has the patties pre-made and individually frozen in a package of 6 was such a time-saver this evening! We grilled the burgers just how they came out of the package. They stayed pretty close to their original size, making a good-size meal out of each one. Since the burgers were sized so generously, the package of 6 burgers fed my family with some to spare. We served them as cheddar cheese burgers with a little mesquite bbq sauce on top. Delicious! Harry Bean picked up his mount this week! Larry Ott picked up this gorgeous mount from Cordray's Taxidermy! Lunchbreak gobbler! 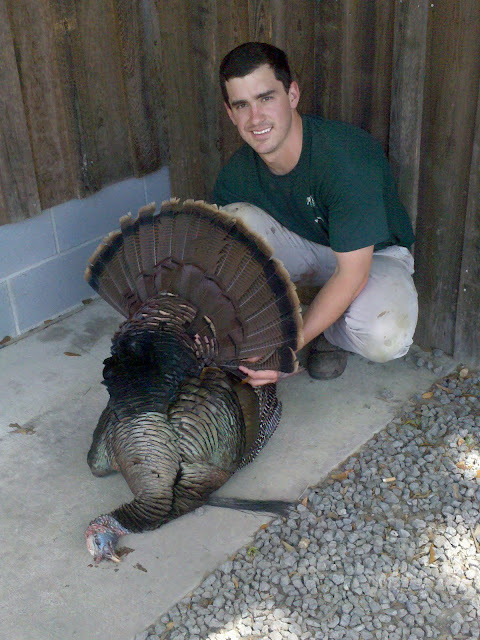 Kenneth of Cordray's Taxidermy got this big Tom! All our cows sported stockings just a few weeks back. From Ambrose Family Farm: HELP Tons of Strawberries for PYO! I have attached some pictures of the strawberries we have available for Pick Your Own! Pete has asked for HELP. His plea is for each of you to come to the farm and pick strawberries and also to pass the word in your office, neighborhoods, churches, schools etc about the strawberries. There are literally "TONS" of berries ready to pick and getting riper each moment. He is distraught about losing the berries, it breaks my heart to see him so worried and frustrated and sad to see 'his babies' go bad. Help us spread the Word. Print the attached map & info and post it in your office, school room, church, business, etc. Email it to everyone you know. 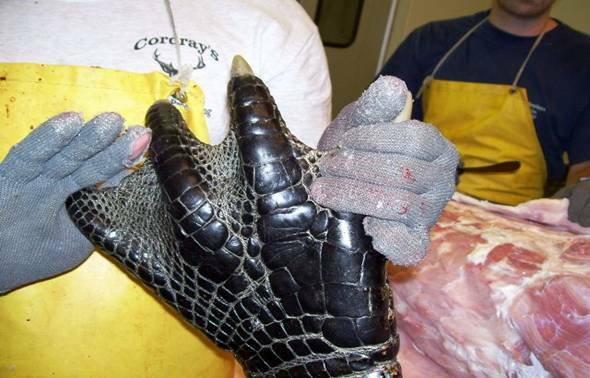 If think you've got what it takes to hold hands with a really BIG alligator, be sure to go online at SC Department of Natural Resources to apply for tags for the 2010 Alligator Season. Application process begins on May 1st! 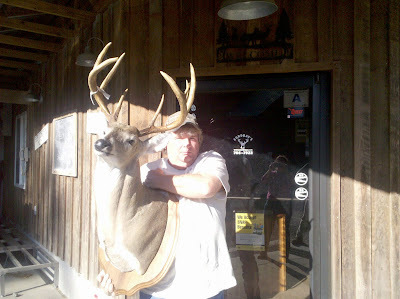 Kevin Pritchard got this Ravenel buck mounted at Cordray's! 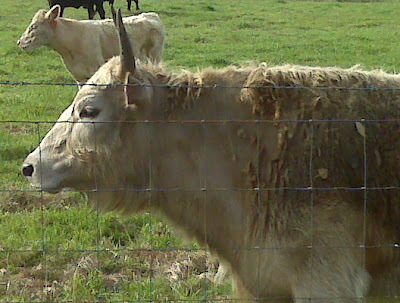 This beefalo is half cow and half buffalo. 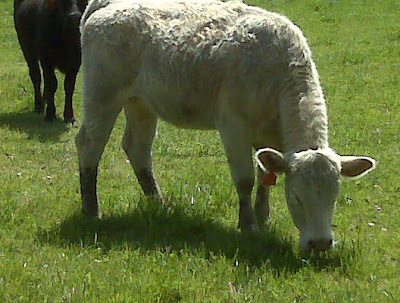 She runs like a buffalo and is smart just like her dad. Just yesterday all the cattle were standing at the fence waiting for us to open the gate for them to go in the rye grass pasture. The whole herd, except for this one, stood by the gate, bellowing to beat the band. She jumped the ditch and walked all along the fence line looking for a weakness in the fence. She made the circuit, didn't find a short cut and then cut back across the ditch and was first in line on the green grass!